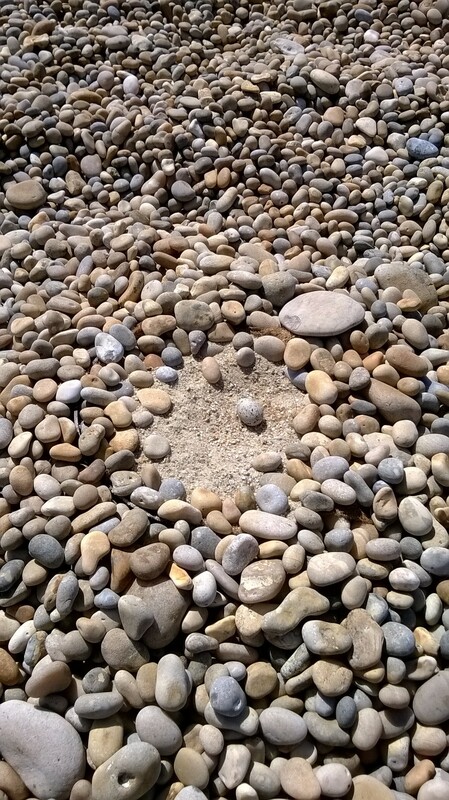 Mottled sun on pebbles, a scouring wind off the sea – early morning on Chesil Beach. The sea many shades of blue and turquoise with white topped waves shattering on the shingle. 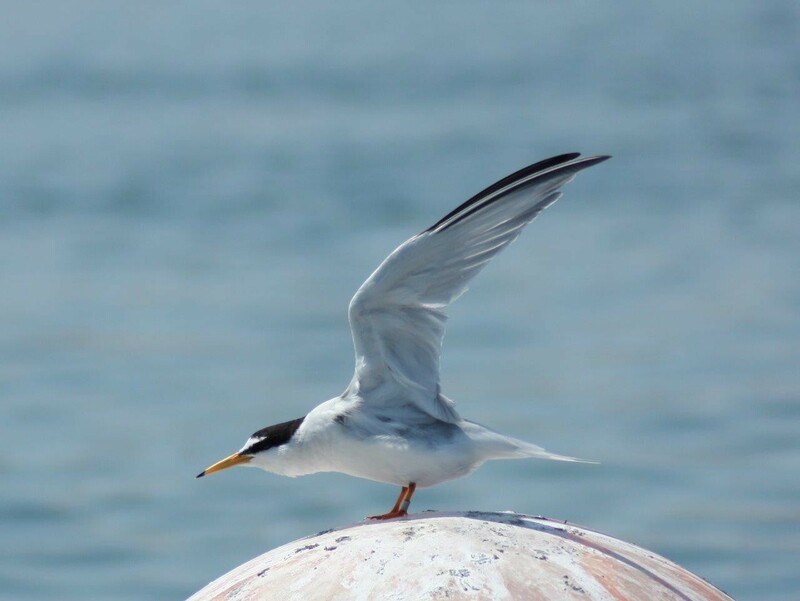 Above the water, little terns scything between sea and air, delicately winnowing small fish from the surface. 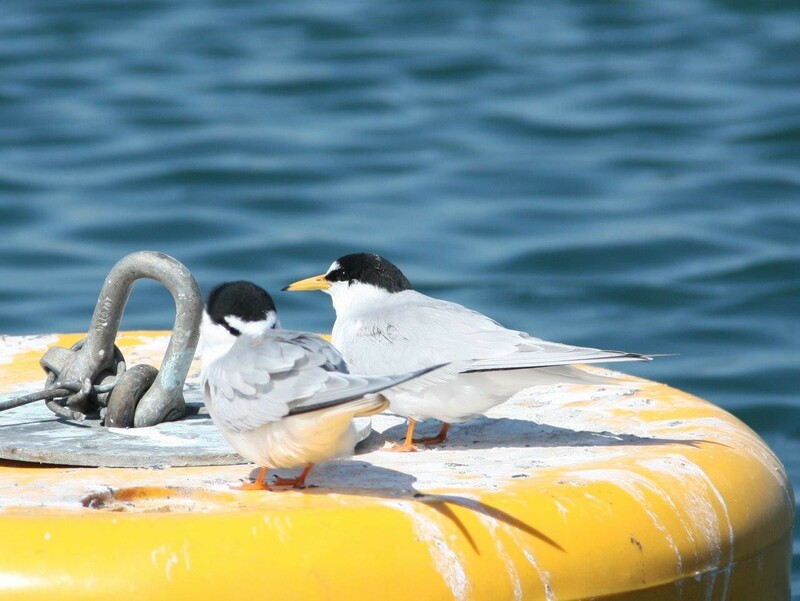 An area of the Chesil Bank has been cordoned off with an electric fence and warning notices to protect the nesting site of the little terns. Ideal conditions have been created for their nests with liners from hanging baskets filled with sand, sunk among the pebbles. If the eggs are laid directly on to the pebbles, the wind whistling through the gaps chills the eggs and prevents development of the chicks. I spoke to Morgan Vaughan of the RSPB who oversees the project and he kindly gave me a lot of information about the project. 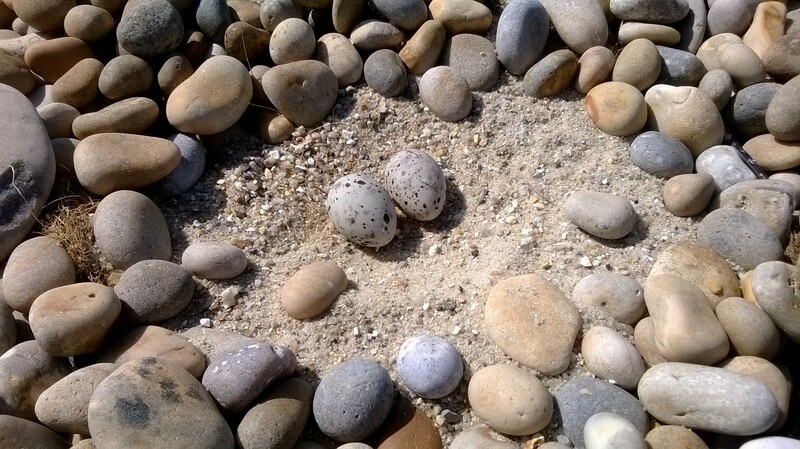 He said only 23% of eggs laid straight on to the shingle hatch successfully, whereas 90% of those laid in the special sandy nests produce chicks. 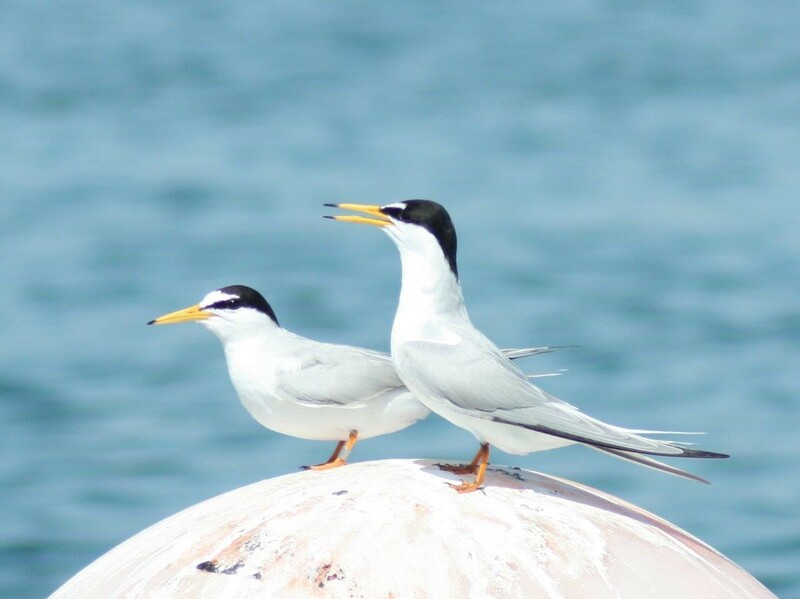 Not surprisingly, the little terns prefer their custom-made sandy hollows. The electric fence, first erected eight years ago, deters predators such as foxes and, on top of each fence post, a plastic bottle prevents kestrels from landing and preying on the little tern chicks. The site is monitored 24 hours a day and data gathered (under a licence from Natural England) without disturbing the nesting pairs. 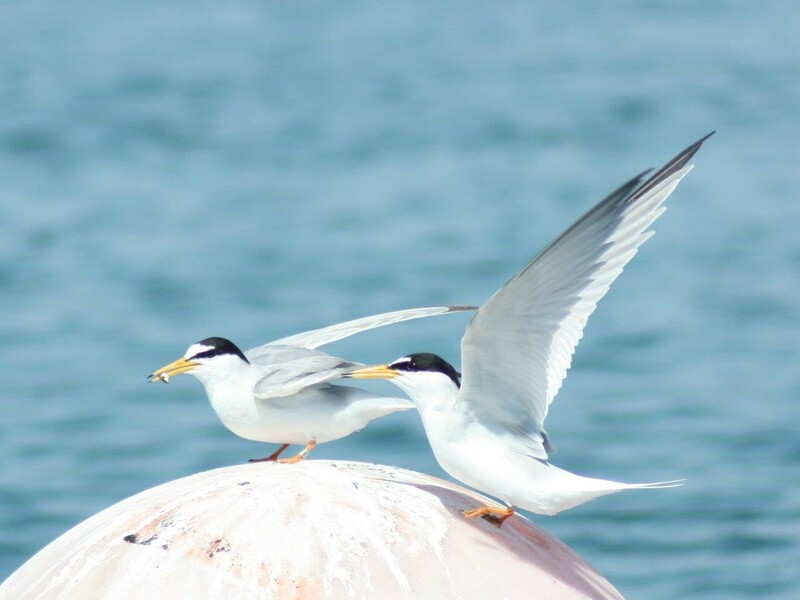 This is the only little tern colony in the southwest apart from one at Portsmouth – most little terns are found on the east coast around Norfolk. The project on Chesil is funded by a partnership between the RSPB, Chesil and Fleet Reserve, Dorset Wildlife Trust, The Crown Estate, Portland Court Leet, Interreg and Natural England. 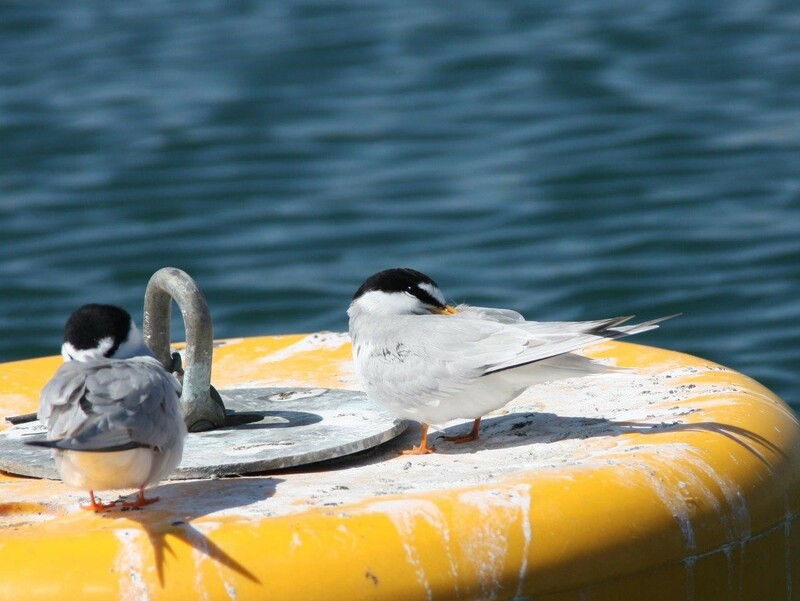 The eggs are being laid at the moment and the male terns are bringing the incubating females plenty of small fish. The chicks will hatch about the second week in June. Then, from the end of July they will begin to fly back to West Africa. The chicks who make it to these warmer climes will stay there for a two or three years before migrating back to their hatching site on Chesil to breed – hard-wired to find their way home. I spoke to a fisherman who was digging for worms. 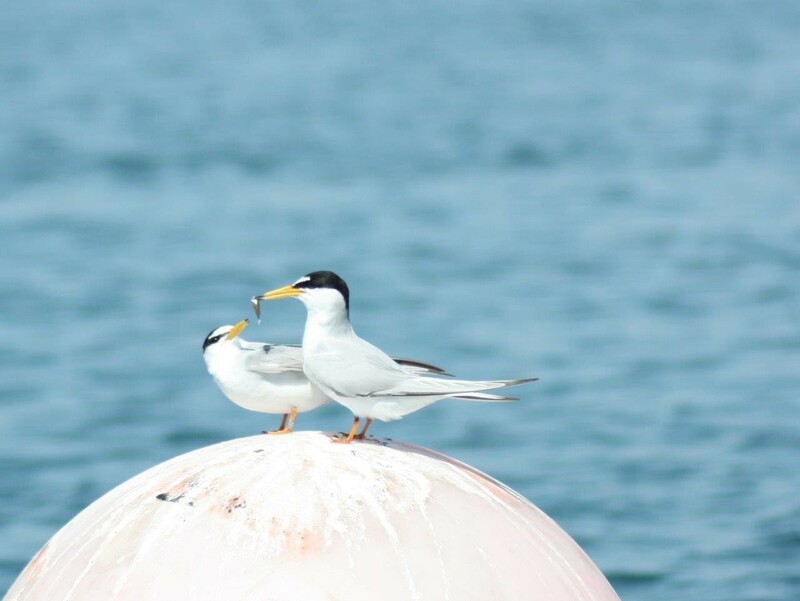 He has been coming to Chesil all his life and said, that in the late 70’s, the few little terns breeding on the shingle had to contend with predators such as badgers, feral cats and foxes. The wild cats, some of which were enormous, have now vanished from the area, as have badgers who swam across the Fleet. However, foxes still prowl the beach at night. I watched the little terns swooping like tiny paper planes over the turbulent water offshore and felt hopeful they would thrive with the support they are getting from the band of dedicated volunteers led by Morgan. I will come back again when the chicks have hatched and I’m looking forward to hearing the colony chattering happily in the lee of the Chesil Bank.